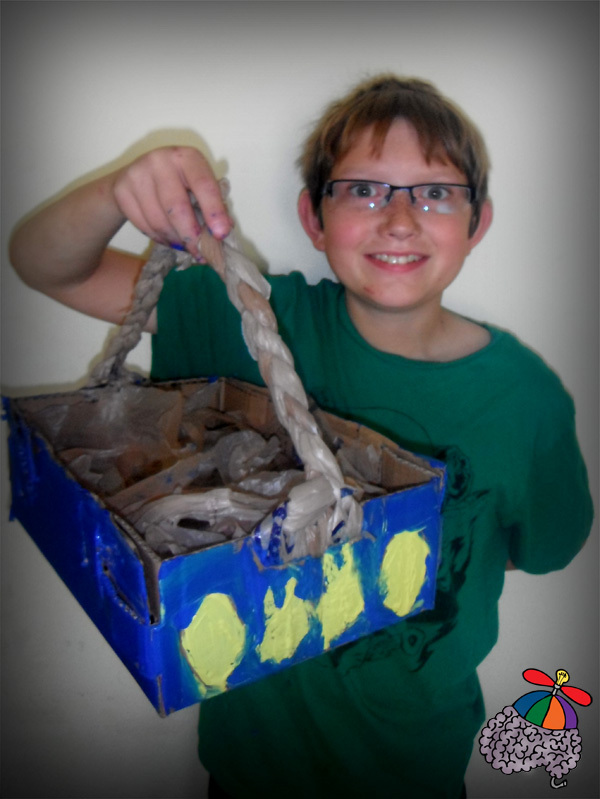 We made up-cycled Easter Baskets out of cardboard boxes and plastic shopping bags. Baskets can be left natural or painted! A fun craft project for a Spring Break afternoon!